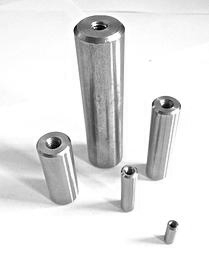 Our stainless steel non-vented pull pins are manufactured from 18-8 series stainless steel, a non-magnetic material with higher corrosion resistance than standard steel. These pull pins are distinctive due to their reusability. The internal threading enables the pull pins to be used over and over, which helps to reduce tooling costs of your application. 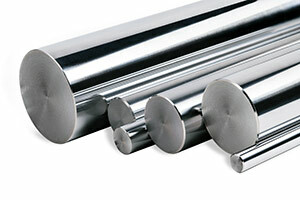 Stainless steel is an alloy with a minimum chromium quantity of 10%. This material is much more robust compared to standard steel, enabling it to be utilized for longer time periods. The patented design allows the pull pins to withstand up to 65,000 PSI of pressure. Additionally, this design allows simple removal of the pull pins. Since certain applications involve moving parts, excessive vibration can often occur. Pull pins are designed to hold in place, but occasionally, a more flexible product is needed. Browse the Suburban Industries Catalog to find stainless steel non-vented pull pins for your application needs. Please don’t hesitate to contact us for a custom quote; at Suburban Industries, our expert team is capable of manufacturing custom pull pins to suit your unique requirements.